Details, Details, and oh-so-many-more DETAILS. 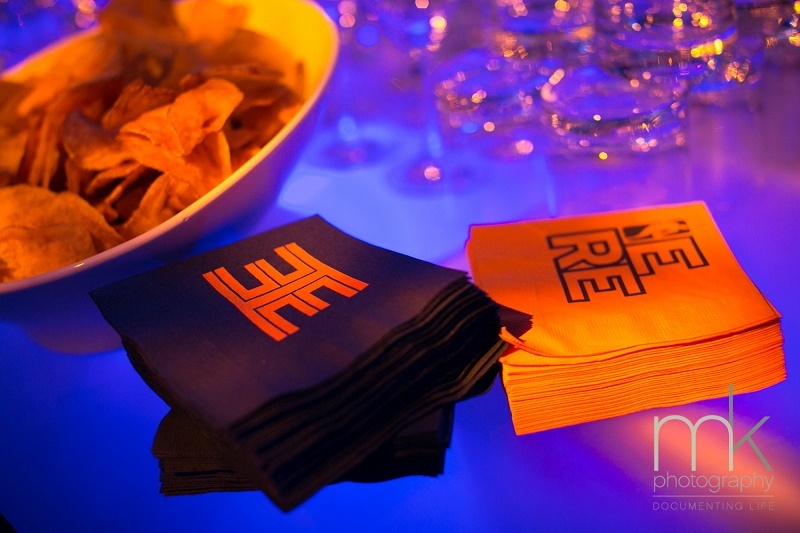 That’s what we love to scheme on, plan for, and flesh out on every bar or bat mitzvah we design. Aside from the complex logistics, decorative interiors, and fine-tuned floorplans, there are countless other party details that go into making the event personal. It’s in those custom-crafted, one-of-a-kind elements that many of our team (Ilene Griff, we’re looking at you) live for and stay late perfecting. It’s not enough to slap a logo on a label and call it a day. We’re strategizing the messages that need to be front and center, and then coordinating how each one is layered throughout the celebration, one tactile, emotive, decorative item at a time. We want the guest of honor, first and foremost, and then his family and friends, to know this party was all about him. In this case study, our honored guest was Evan, a young man passionate about basketball and his favorite team of all time – the Philadelphia 76ers! Our mission? To bring the same high-tech, energetic, sophisticated vibe found in the chicest VIP lounge at Wells Fargo Center to the former Four Seasons Hotel. One detail at a time.